For sale we have this exquisite necklace that is a true classic inspired piece with the titanium 3mm rolo necklace chain. Crafted from 3 millimeter wide grey color grade 2 titanium and weighs just 3 grams. The weight of the necklace chain is rather astounding when you realize that it is nearly featherweight. Titanium is one of the world's strongest metals, stronger even than steel, but weighs just half as much. 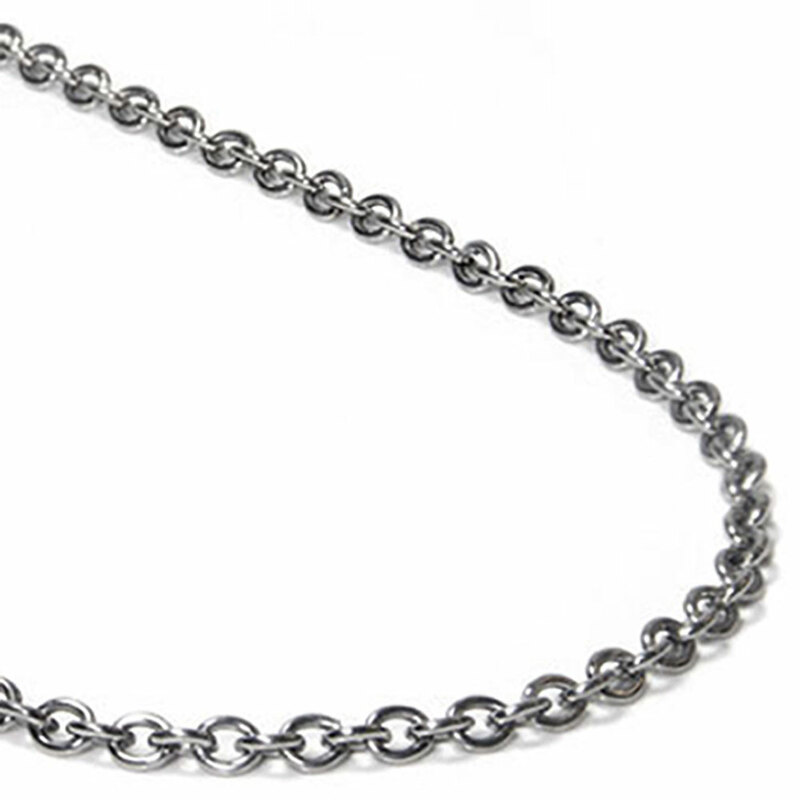 We think our titanium 3mm rolo necklace chain is the perfect jewelry accessory for work and play. Often with precious metals such as silver, gold, or platinum, there is a concern such lightweight necklace chains will break. With the titanium rolo necklace this is never a concern as the strength of titanium is a characteristic that makes it such a popular choice in todays jewelry industry for all types of jewelry people love to wear. Plus at TitaniumKay.com all of our jewelry is backed by a 100% lifetime warranty. Good for dogtags ans such! My wife is very pleased with this strong titanium necklace chain. It matches up with her tungsten heart pendant, that she has on this chain. This titanium chain is only 3mm thick, so it goes well for women to wear also! Thank you T-Kay, i just love to recommend you in my daily life! Are you kidding me? This is so thin that The box was more heavy then the chain. Will be shipping back and BEST get my Money back! Quality is excellent and service is.. put it this way, I order the product on Tuesday evening I received it Thursday. I will definitely be ordering from Kay again. I bought this necklace for my husband and we both love it. It's lightweight but the links make it look chunky in a really cool way. It arrived before I expected to boot.